By far my favorite eateries to visit were the pastry and bread shops. There’s something infinitely comforting about the smell of freshly baked goods wafting in the air as you peruse shelves with strange, quaintly British names like “Bakewell Tart” and “Eton Mess” scribbled underneath them. Even familiar-looking desserts had unfamiliar names: biscuits for shortbreads, knickerbocker glory for a particular type of ice cream sundae, and puddings for desserts in general. Though I didn’t encounter this particular dessert in the UK until we arrived in Edinburgh after our England tour, the Millionaire’s Shortbread–or what most online recipes would just call Millionaire Bar–was one of those known-yet-unknown foods that I felt I was meeting for the first time halfway across the world. We were at the Edinburgh Castle whiskey gift shop, where we had just finished sampling two extremely disappointing creme-flavored whiskeys, when I spotted these little gems sitting on a white tray next to the castle-themed hip flasks: just a scant layer of caramel sandwiched between an even scantier layer of chocolate on top and a hefty, THICK slab of shortbread on the bottom. The caramel and chocolate looked thinner than the woefully optimistic sundresses and cardigans that I had brought with me to the freezing, wet city. The boy (who, by the way, is originally from England) came over and laughed when I expressed my surprise at these Frankensteinian versions. What happened to the caramel? The chocolate? The good stuff? He explained that in the UK, the right way of making Millionaire’s Shortbread is with an emphasis on the shortbread–you know, that stuff that the British are really, really good at making. Having tried shortbread in both England and Scotland, I wasn’t about to challenge that thought, and instead immediately scribbled down a recipe in my notebook to try when I got back home from my trip. I’m still recovering from my post-travel busywork/catch-up–plus a lovely long weekend visit from a good friend!–but I’m glad to be having so much quality time in the kitchen again. More trip posts and Europe-inspired recipes coming this week! What recipes have you been inspired to try based on your travels? 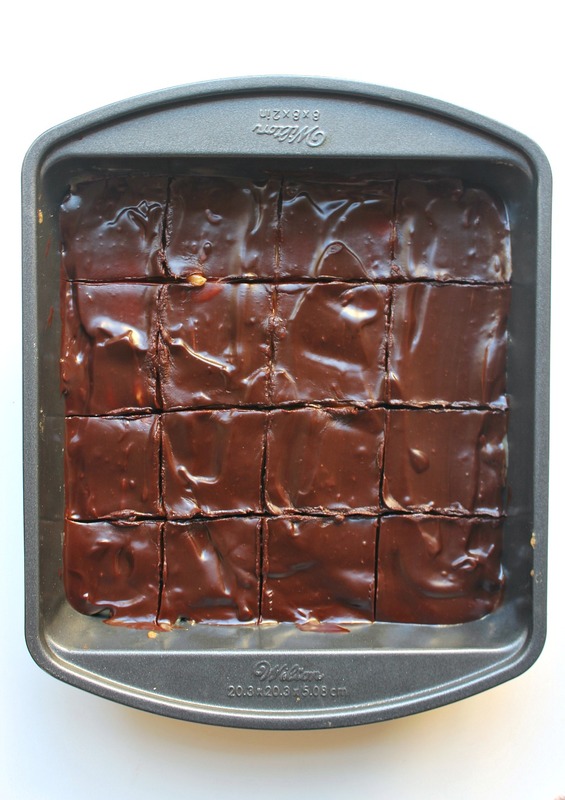 These Millionaire's Bars are inspired by my travels in the UK! 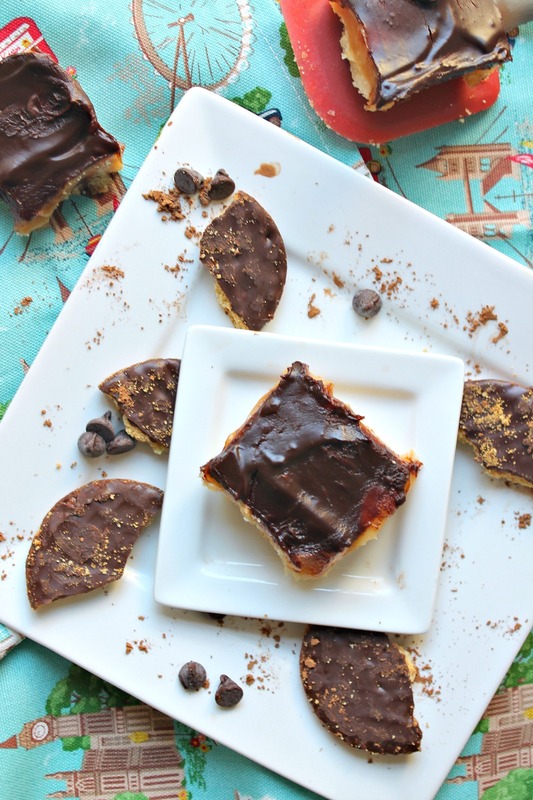 With the perfect ratio of buttery shortbread, smooth caramel, and rich chocolate, these bars are worth making for your next picnic or just for a sweet treat! Preheat oven to 350 degrees F. Lightly grease an 8x8-inch baking pan and set aside. In a medium mixing bowl, cream together butter and sugar until light and fluffy. Add flour, baking powder, and salt. Mix until shortbread dough is just combined--press evenly into bottom of prepared pan. Bake in preheated oven for 12-15 minutes, until lightly golden. Allow to cool completely on a wire rack. Melt butter in a medium saucepauce over medium heat. Add remaining ingredients and mix until smooth. Heat, stirring occasionally, until mixture comes to a boil. Lower heat to medium-low and continue simmering, stirring constantly, until mixture turns an amber color and thickens slightly. Pour evenly over shortbread crust and transfer pan to refrigerator for 2-3 hours. Place chocolate chips in a medium microwave-safe bowl and heat for 30 seconds. Stir chocolate, then add corn syrup and butter. Return to microwave and continue heating for another 30 seconds. Stir chocolate mixture, then heat in additional 15-second increments as needed until chocolate is completely melted and smooth when stirred. Oh, I know what you mean. I could do shortbread for days–thanks, John! Love millionaire’s shortbread! 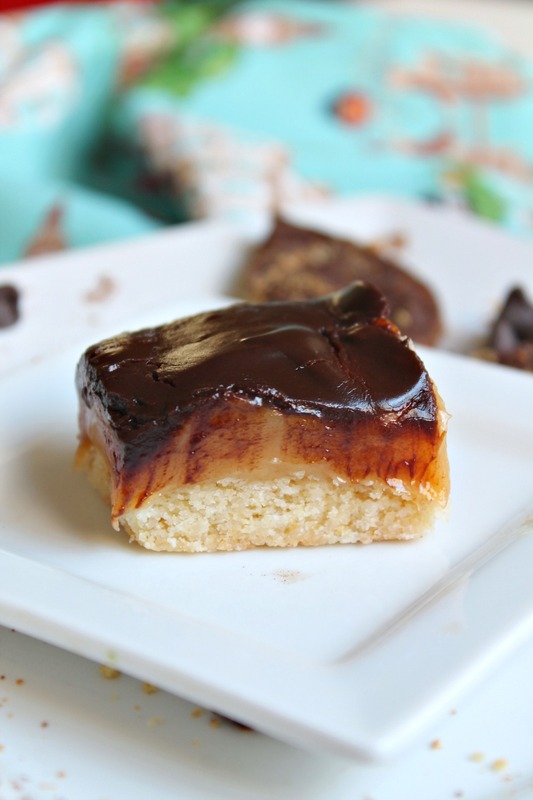 It’s one of my favourite sweet treats with all the crumbly shortbread, gooey caramel and chocolate topping. 🙂 Yours look delicious and I love that Cath Kidston kitchen towel. Great to hear you had a brilliant time on your travels, Ala! I can totally see why–I had never tried them before, but they are SO good! And thank you, girl <3 hope you've been faring wonderfully lately, too! Oh, my!!! 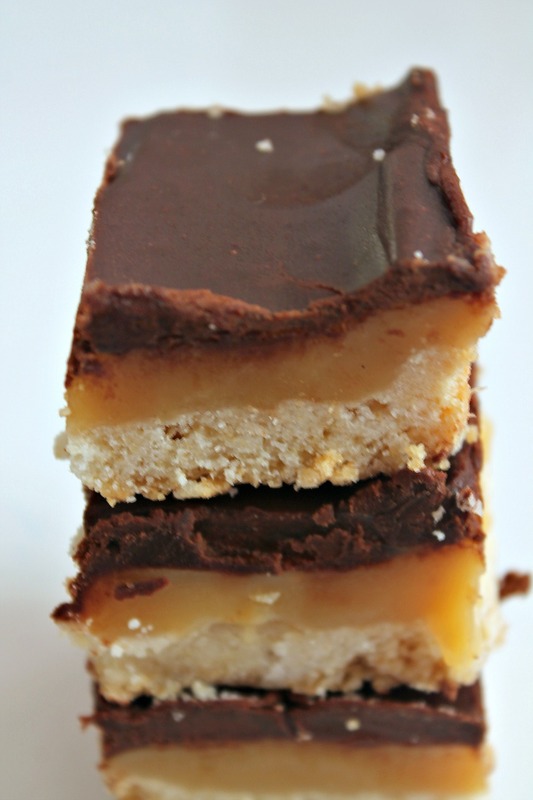 These bars made from shortbread, caramel and chocolate are my type of treat. I will have to try your recipe. I know my kids and hubby will be crazy for them too. OMG yes. I’ll take caramel in the face all day, every dayyy~ thanks, lady!